MomsRising.org | Charlotte: Let's party to the polls! Charlotte: Let's party to the polls! If there ever was a time to gather together, make some noise, and parade to the polls decked out in some serious voting swag, it's now, during this election! 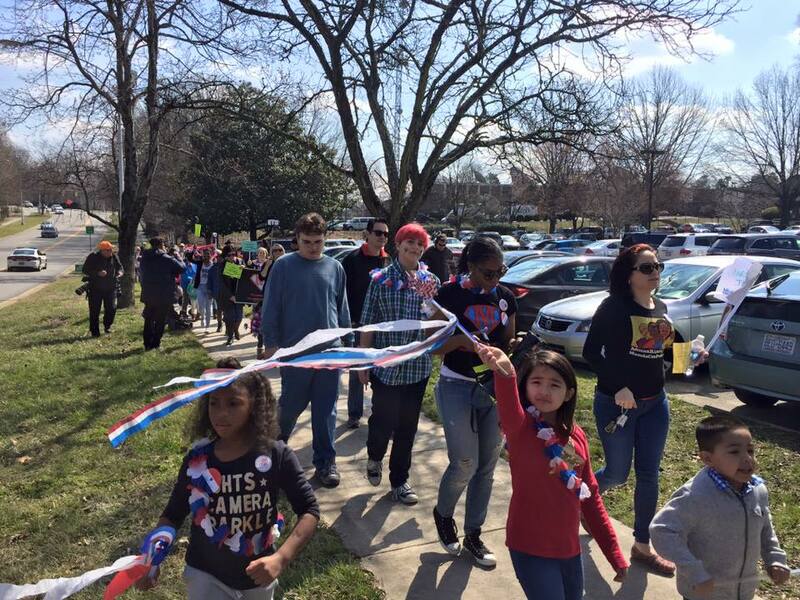 That's why MomsRising is again planning to celebrate voting here in Charlotte in a FUN, NOISY way with our annual family-friendly early voting party and march to the polls! On Saturday, November 3rd, from 9am-12pm, MomsRising is joining forces with our friends to hold a party and parade at the Beatties Ford Rd. Regional Library to make sure that our voices are heard in the streets and at the polls! There will be face painting, carnival games, voting stations for children, a photo booth with props, a balloon artist, and the kids will even have a chance to cast their own vote. Then, decked out in proper parade attire (including pompoms, parade wands, bracelets ,noise-makers, bubbles, and pinwheels! ), we will march around the library to the polls where parents can cast their own ballots with their kids by their side. What: A family-focused, noise-making, parade wand-swinging voting celebration! We’ll gather at the library to hear a special story time, choose parade gear, take selfies with our voting-themed props, get our faces painted, and more. Then we will start waving our pom-poms and making some noise as we parade around the library before we head in to vote. We will be offering noise makers, but feel free to let the kids bring their own instruments to play as well!